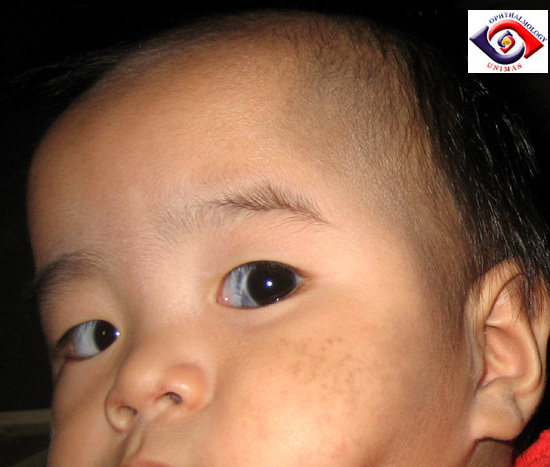 This one year-old girl was referred by the paediatrician for ocular assessment because of discoloration of the left upper face (mainly in the temporal area and cheek) and left sclera. Further questioning revealed that the patient also had some pigmentation over the right shoulder as shown. Figure 1. 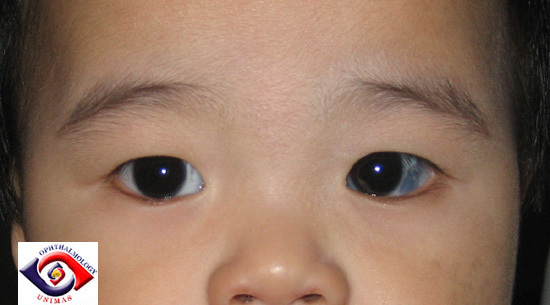 Pigmentation of the sclera and the left upper face. Figure 2. Pigmentation of the sclera. Figure 3. Bluish black pigmentation of the right shoulder area. b. What are the potential ocular complications?